You did an amazing job with your recreation! The way you matched your colors and your precision with layering is great! 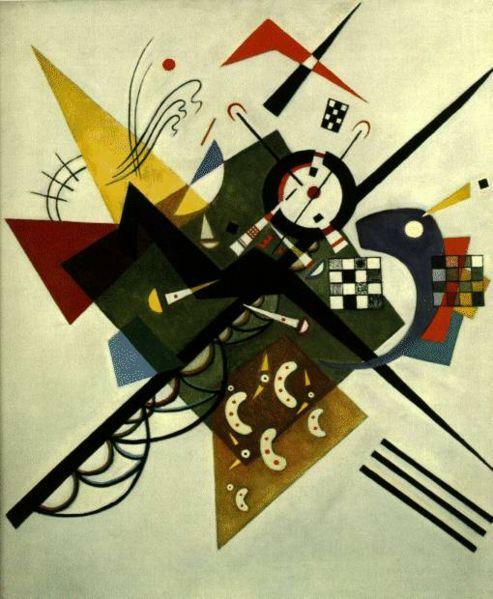 I am a fan of Kandinsky and I think you definitely captured the over all feel of the painting. Thank you so much! 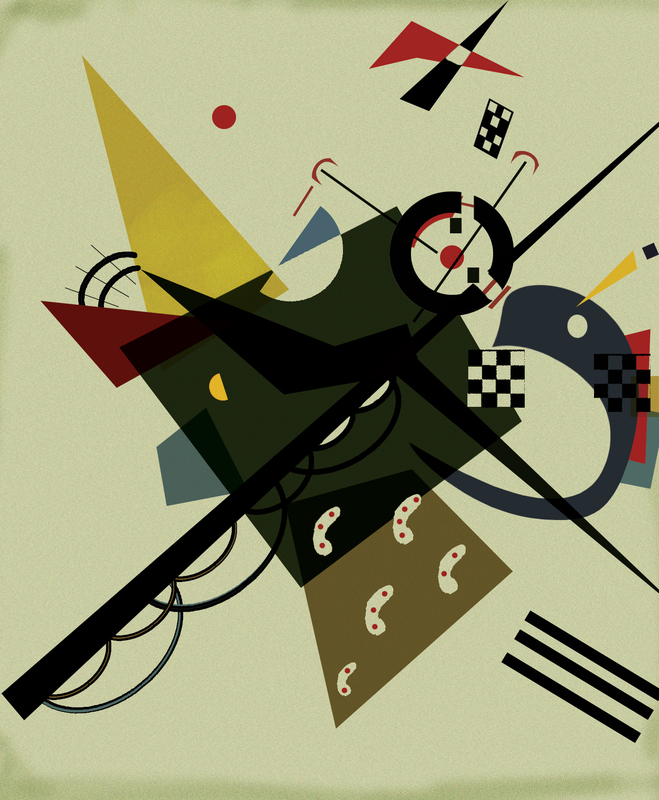 I did not really know much of Kandinsky until I researched his works, but I sure have an appreciation for the level of detail he puts into his works (some of those layers took forever for me!). Thanks for the feedback. Wow. You know your stuff, huh? That is really great. Everything from your shapes to the way you matched the feel of the worn, faded background is very well done. I’m both intimidated and intrigued! Kudos! Thanks Nancy! I have been playing around with Photoshop for a couple of years now, but there is a ton I don’t know…for years I have gotten by with not using the Pen or Brush tools or even using Masks. This is all trial and error for me and I’m sure I took the long way in creating this in terms of shortcuts. I’m not a pro, but if you ever need advice, I’d be happy to help, thanks again for the feedback. I really cannot say anything negative about this. You obviously know how to work with the software to recreate a nearly exact image. I thought the way you introduced the abstract painting for “On White II” was informative. You educated us on the reason you chose this particular painting. One of the reasoning being that you like that it deals with color and geometric shapes. I have expressed several times before that I enjoy using colors in many of the things that I do. I believe that it resonates to people and evokes different emotions. Your use of color in “My recreation of “On White II” compliments the original piece very nicely. It is near exact. Since we were studying emotions last week. I wondered what kinds of emotions were evoked for you when replicating your abstract. The blend of colors seem to be earth tones with an occasional splash of boldness (in the red) causing some serenity, calm and joyful feelings perhaps. The line comparison is also exact. I can tell there is extensive layer use because of the blend of colors and lines throughout the piece. I also imagine you had to use the pen tool throughout the image because of the fine and sharp lines used. There is only one small difference I see is in the original painting, that is there is more graininess in the original and yours is a clearer version of the painting. I like the way you put your own twist on this painting by making some of the intricacies distinct to your own liking. For example, the peanut shapes at the bottom are smaller in your version. In addition, the checkerboard to the far right of the screen is black and white in your version. Also the exclusion of the wavy lines on the top left part of the image. This all creates a similar image, but one with a twist. Many viewers can derive their own perspective on the both paintings. Overall, I think this was an excellent first attempt on this abstract painting. Your experience level really shows. Great job!